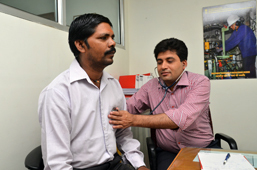 A free Health Check Up Camp was organised for all PE employees and their families in association with Metro Hospitals & Heart Institute. The camp was held on 17th September 2013 at the Bry-Air corporate office in Gurgaon. Dental Check-up Over 200 people availed the benefits of this free camp. 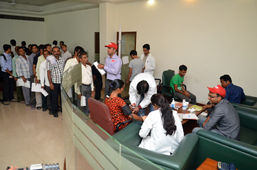 Free medicines were also provided for the employees, as prescribed by the doctors.